The Minions are back! Join your favorite yellow friends, along with Agnes, Edith, and Margo, on a new, hilarious adventure in this beautiful hardcover picture book that is based on the highly anticipated blockbuster movie Despicable Me 3!Agnes has two lifelong dreams: One is to be adopted into a loving family (completed!) and the other is to have a pet unicorn. 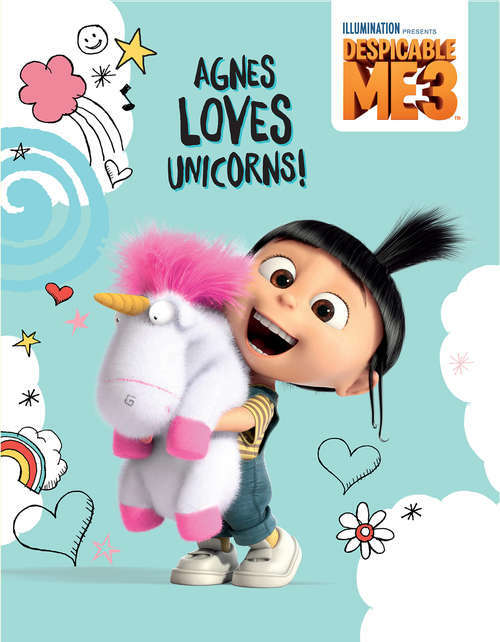 Explore Agnes's love of unicorns inside this lovely picture book--and join her as she goes on her biggest adventure yet--to capture a unicorn!Despicable Me 3 is a trademark and copyright of Universal Studios. Licensed by Universal. All Rights Reserved.